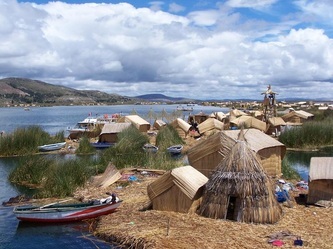 Puno is the capital city of the Puno Region and the Puno Province with a population	of approximately 100,000. The Puno region of Peru is one of the poorest areas in	the Western hemisphere. The region, nevertheless, is rich in cultural heritage and	history. 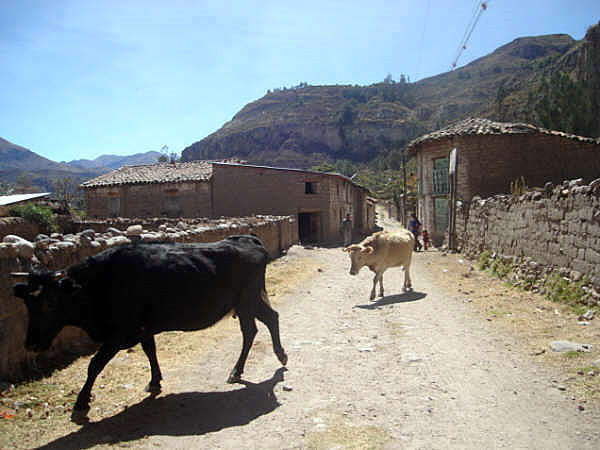 The majority of its people speak Quechua or Aymara languages. 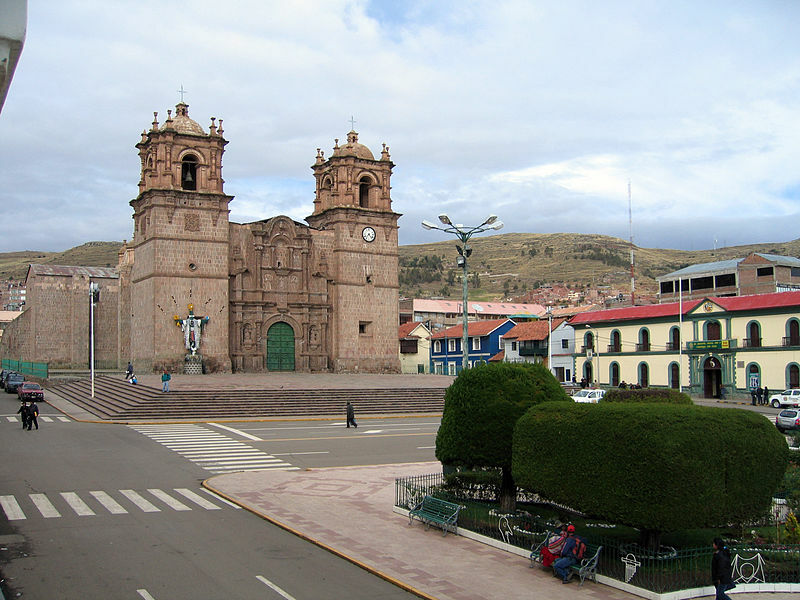 celebrations of the Feast of the "Virgen de la Candelaria"	and the Regional Competition of Autochthonous Dances. Puno's access to Lake Titicaca	is surrounded by 41 floating islands. 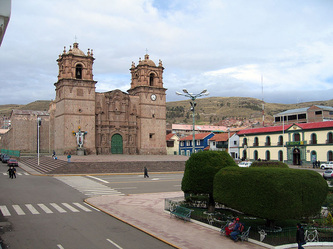 Puno Peru is located at an altitude of 12,565 feet or 3,830 meters above sea level. 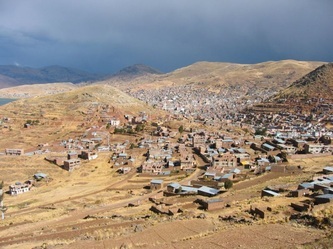 As Puno is located at such a high elevation, it experiences more extreme weather	conditions than would be expected for its sub-tropical latitude.